A wooden fence can be a nice avenue to increase the beauty of your farm, home, garden or outdoor landscaping. Sometimes, these fences may end up being expensive. The cost can fluctuate depending on the type of wood you choose to build the fence out of. Still, wooden fences are a great way to revamp what your house and yard looks like and it can be cost efficient. Here is how you can build a wooden fence. Read on for more information. Pay attention to any property lines in this step. Have your yard surveyed. Draw, mark and measure your new fence line. Make the postholes. Dig them with the shovel. Post hole digger and mattock. Make the holes wider than the fence posts. The hole should be no less than 1 foot in depth. Set the fence posts with dirt. Place the level alongside to ensure they are straight. Fill all the empty spaces around the post well. Tamp the dirt using the tamping rod. This will make the post firm. Decide exactly how many boards will go across the fencing. 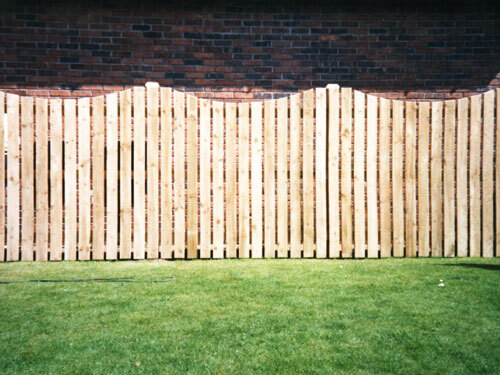 If you chose a picket styled fence, or a privacy fence, your fence will need another set of vertical boards. A post and plank fence is not nailed but joined together. Nail all boards lying horizontal twice. Alternative and size the boards as you go along. If the fence you are making is a three plank fence, then the center board should be in the middle and the upper and bottom boards will need to meet on the very ends. Your level will help getting the alignment the way it should be. The vertical boards get put on with nails. For a picket or privacy fence use the level for aligning. The picket style fence is nailed at even spacing and between postings. Saw off any parts to ensure the proper size and fit. The tops of the posting should be taken off with a handsaw or chainsaw. With a joined post-and-plank fence you” have to set planks into holes that you bore into the postings as opposed to nailing them into the post face. When using this design, planks and posts meet at consistent intervals. They don’t alternate for added strength to the structure. Some home improvement stores have kits that make having and installing fences very easy. You can go to any Home Depot and ask what your options are in terms of fencing.